The first launch of SpaceX’s new Falcon Heavy rocket, formed by bolting three Falcon 9 first stage boosters together, has slipped from late 2016 until the first quarter of 2017, four years after the company’s initial targeted debut of the heavy-lifter. Gwynne Shotwell, SpaceX’s president and chief operating officer, disclosed the latest schedule during a panel discussion Tuesday at Euroconsult’s World Satellite Business Week meeting in Paris. She said SpaceX’s investigation into the Sept. 1 explosion on Cape Canaveral’s Complex 40 launch pad is still in work, and the inquiry has not identified the root cause of the accident. SpaceX says the fireball originated near the upper stage of the Falcon 9 rocket’s liquid oxygen tank during fueling, about eight minutes before a brief on-the-pad hotfire test of the booster’s nine Merlin engines. 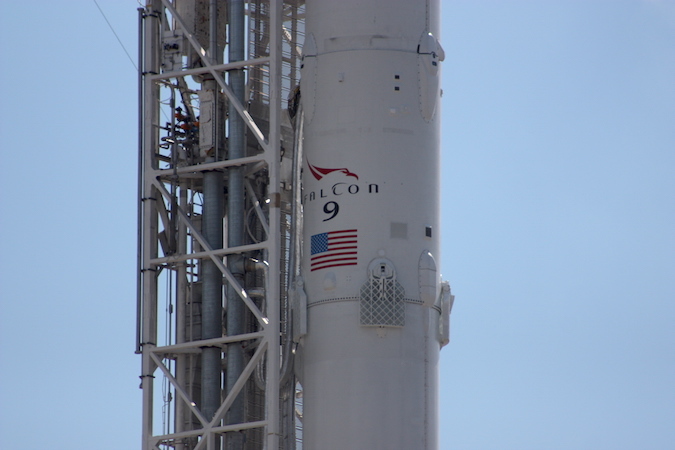 The explosion during the mock countdown destroyed the Falcon 9 and its satellite payload, which were due to blast off two days later. 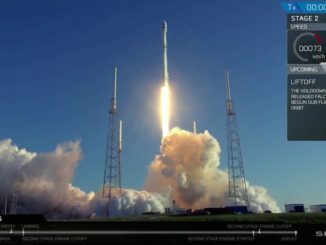 It also damaged SpaceX’s primary launch pad in Florida, where most of the approximately 70 missions in the company’s more than $10 billion backlog were supposed to launch. Cleanup and repairs to Complex 40 will likely take at least a few months. In the meantime, assuming the cause and potential fix for the Sept. 1 explosion turn out to be straightforward, SpaceX aims to resume flying Falcon 9 rockets in the November timeframe from two other launch pads, Shotwell said. SpaceX leases a former space shuttle launch pad from NASA at the Kennedy Space Center. Major modifications to ready launch pad 39A — located a few miles north of Complex 40 — for Falcon rocket flights should be finished in November, Shotwell said. 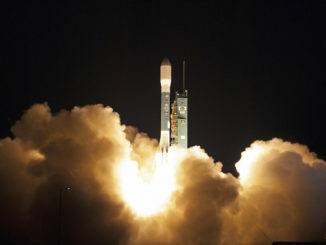 A Falcon launch facility at Vandenberg Air Force Base in California will also be ready to support missions. Shotwell said SpaceX has not decided whether the Falcon 9 rocket will fly next from Florida or California. 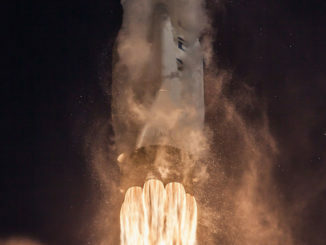 SpaceX’s last rocket failure in June 2015, which engineers traced to a sub-standard bracket in the launcher’s upper stage liquid oxygen tank, grounded Falcon 9 flights for nearly six months. The site of the maiden flight of the larger Falcon Heavy rocket, which SpaceX needs to carry the heaviest commercial and military satellites into orbit, is also undetermined. Shotwell said the demo launch, which was originally slated to lift off from Vandenberg then switched to KSC’s pad 39A, could occur from either launch base in the first quarter of 2017. The next launch on SpaceX’s manifest before the launch pad accident was slated to carry 10 new-generation Iridium voice and data relay satellites into orbit nearly 400 miles (625 kilometers) above Earth. Iridium’s $3 billion initiative to build and launch up to 81 new satellites, and upgrade the company’s ground-based network, was supposed to be complete by the end of 2017. The schedule was already tight before the SpaceX accident. SpaceX and Iridium signed a nearly $500 million contract in 2010 for seven Falcon 9 launches from Vandenberg, each hauling up 10 satellites jointly manufactured by Thales Alenia Space and Orbital ATK. 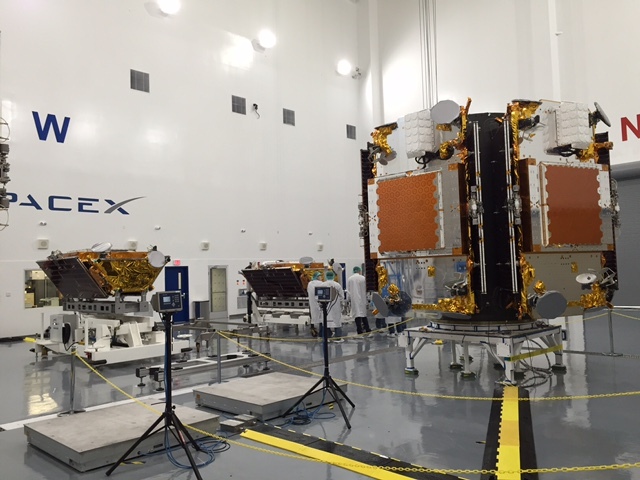 The first batch of 10 Iridium Next satellites were delivered to Vandenberg in August for a launch that had been scheduled for next week.